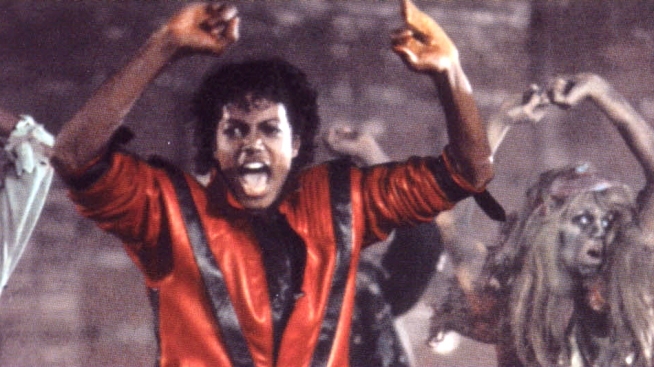 The Thriller dance was one of the best things about the early 80s -- just admit it. Like Benjamin Button, it seems we keep moving ever further back in time. Days ago, our economy looked like it did back in 1996. But this morning's Labor Department report put employment levels back at 1983 levels. And now the Times Economix blog says we're hurtling quickly toward 1982. This is terrible, depressing news. But let's remember: 1982 wasn't all bad. True, there was the Cold War and the Mexican debt crisis and a brief but crippling recession. But there was also E.T. and Pac-Man and Thriller, and after all we were still a modern, not agrarian or foraging society. That's next week. In the meantime, soothe yourself with this video, which, we should note, is almost NSFW. Which was another good thing about 1982.